Considering that we know many of the hosts of podcasts on VOC Nation, we probably never imagined one day becoming their colleagues. If you've never heard of Wrestling 2 the MAX, you are in for a treat. We are the "Every Wrestling Fan Podcast," meaning there is a little something in our show for everyone. We cover and review WWE RAW, WWE NXT, Lucha Underground, TNA Impact Wrestling, and ROH each week. We also discuss all the news going on in the wrestling world in "Quick Hits," have special topics, and also have our own W2M Top 5 Power Rankings to end each show. We also have W2M specials on Sunday nights every time there is a WWE PPV or a big New Japan Pro Wrestling event. 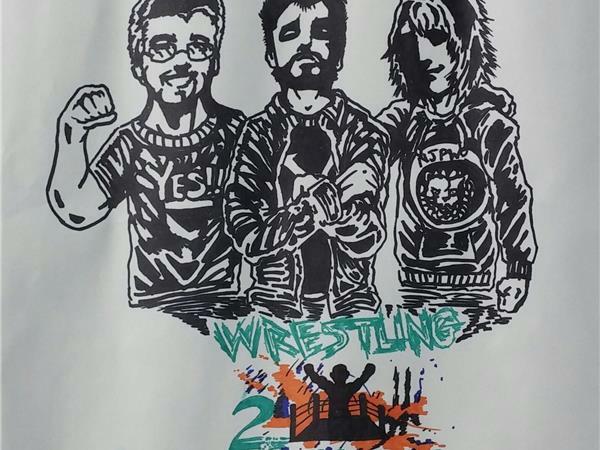 Wrestling 2 the MAX is hosted by Sean Garmer, Gary Vaughan, and Paul Leazar and we hope you will join us each every week here on Friday's at Noon ET or catch us on-demand. This week on W2M, welcome to our first Thursday edition of the podcast, which is nice because we can be more up to date with all of the shows we cover. However, we start things with Quick Hits where we discuss the Stone Cold podcast with Paul Heyman, WWE showing the Japan house show live on the WWE Network, Samoa Joe getting a full WWE deal and more. Then we head into our review of WWE RAW by storylines, then hit NXT, and Lucha Underground. After that, we review TNA Impact and the first ROH on Destination America as well. Then we finish things off with our W2M Top 5 Rankings.